I haven't updated in a while. In part that's because I've been busy with other projects (including one that I will be able to talk about hopefully in a week here). The other part was because I've been trying to find topics to write about. I don't really feel like I should write about just anything on here, and that if I bring something up, I should have something significant to say about it, so it’s not as easy to find topics as you would think. I realize this is a pretty long entry, so if you want to get to the point, skip down to the bold. I don't think I would consider myself an RPG gamer before the year 2000. Anytime I tried to play one, I found it boring and too bogged down with traditional gaming mechanics that didn't appeal to me. I think the only exception to this was Legend of Zelda: Ocarina of Time, and I would almost argue that it was more of an adventure game than an RPG. So then enter Bioware's Knights of the Old Republic. I remember seeing the television commercials for it (which nowadays is rare, as most hype and news of games coming out comes from internet sources) and being very excited for it. I am to this day a die-hard Star Wars fan and anything with its name automatically has my attention. My parents got it for me for Christmas that year. Fast-forward 40+ hours of gametime and about 3 months, and I had played the single greatest game ever. The characters were interesting, memorable, and varied. Gameplay was new and vibrant, and the ability to use a lightsaber only enhanced everything. Knights of the Old Republic was my first western RPG and I instantly fell in love. The best part of it was the addition of choice, and where I think RPGs really shine. 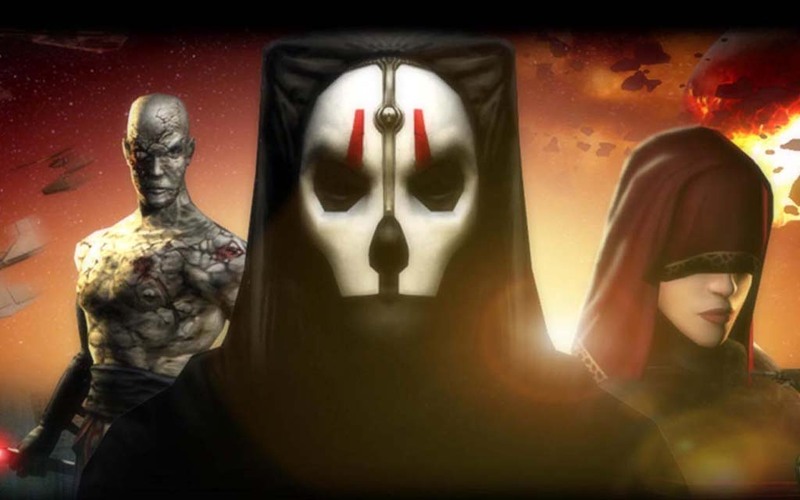 A year later, Knights of the Old Republic II, from Obsidian Entertainment, was released. Going in, I did not expect it to thrill me as much as the first (There are very few moments in gaming as great as the reveal that you are Revan). I predicted as much, and found the characters uninteresting, specifically Kreia. While I found the concept of the story intriguing, I think it could have been done better. Only after I finished the game did I learn that major parts of the story were cut and some characters were cut out entirely. This year I finally got around to playing Bioware's Mass Effect. I say finally got around, not because I didn't recognize its potential when it was first released back in 2008, but because I wanted to enjoy it in its full glory (in other words, on a better PC where I could turn the graphics up to max). I realized that Mass Effect 2 was going to be released soon, so I ponied up and played through Mass Effect twice, first as a Paragon Vanguard, and the second time as a Renegade Infiltrator. I was amazed by leaps and bounds of how much the western RPG genre and grown. Cinematography-like cutscenes, branching dialogues, choices that don't limit each other, and fast-paced combat was more twitch than ever before. I'm pretty sure I played the last 18 hours of my second playthrough straight, just so I get to Mass Effect 2. I'm happy I did. 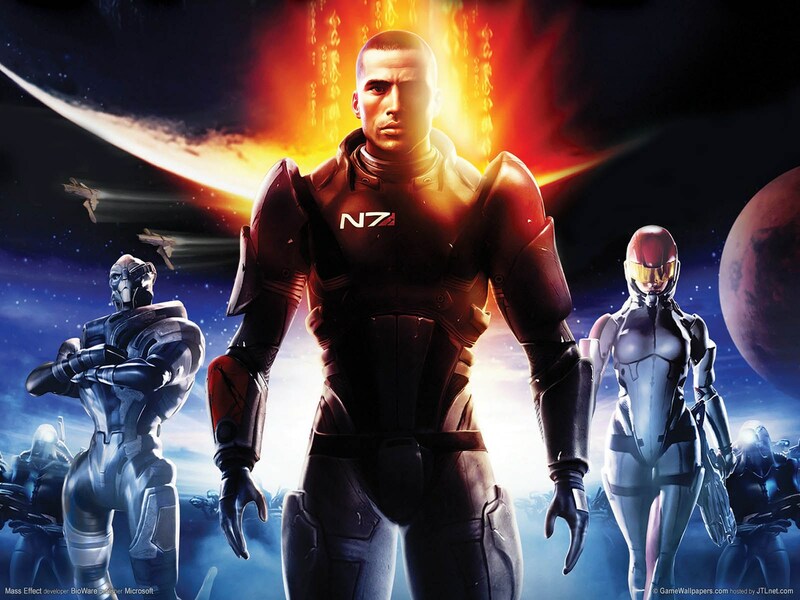 Mass Effect 2 is a crowning achievement in gaming. It is the single-handedly the best game to combine story, graphics, combat, and choice together. After my first playthrough of Mass Effect 2 (I played it twice, again, first as a Paragon Vanguard, and the second time as a Renegade Infiltrator) I remember thinking to myself, "Mass Effect 2 is the pinnacle of meshing story, combat, character, and interactivity." I am waiting for Mass Effect 3 with awe. So after all of these, I looked at what else there was for high-rated titles of the western RPG genre. What I found was 2008's Fallout 3. I was initially excited because it was by a developer (Bethesda) whose games I had never played before. Unfortunately, Fallout 3 was a much more serious RPG than I had thought it was. I found myself scrounging over several guides and videos before I even finished the character customization. Right now I am 50 hours in, and have only finished the main story and one of the expansions, Broken Steel. I still have four other expansions to finish, and all of this is only as Good Karma character (I plan to play as Evil Karma character, but skipping the expansions and an early part of the main story). As far as quality, its a good game, just not what I expected it to be. There is something about the characters and the way they interact with the setting that is uninteresting to me. 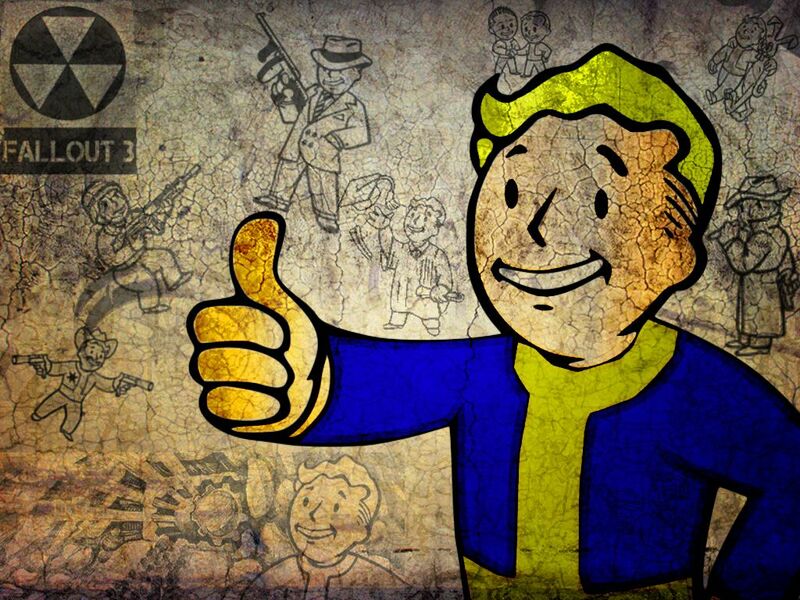 Combat is clunky if you don't use VATS, and dialogue options haven't felt as natural as they were in previous games. So why did I just tell you my history of western RPGs? Because Alpha Protocol and Fallout: New Vegas are coming out. 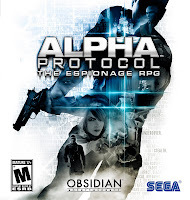 Alpha Protocol in June, and New Vegas later this year. There are two reasons why I am excited about this. Firstly, because Alpha Protocol, by the same company who did Kotor II, is a brand new setting in the RPG genre and this is what I love about it. JRPGs will have you doing something fantastic using magic and combat, but they all seem so similar to me. Western RPG settings are varied: Star Wars, space (you could argue that Star Wars and space are the same setting), post-apocalyptic, and new espionage (spy). What other settings can be explored? 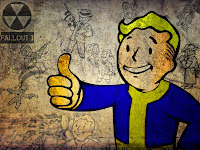 Secondly, I'm excited for Fallout: New Vegas for a particular reason, but one I can't talk about for legal reasons. Hopefully in a few years I will be able to, but I wouldn't hold your breath. Below you will find several links to articles I have written for The No News in the last few weeks, including an editorial I wrote concerning the topic of if games are art. Warner Bros. Home Entertainment acquires Turbine, Inc. I've never gotten into RPGs of any kind... (I think of WoW as something completely different). I don't know why that is, or if I really tried playing one I would then like it. I just don't have the desire to try. Oh well.